We know the fundamentals of living a healthy lifestyle, but putting those good intentions into practice is easier said than done. 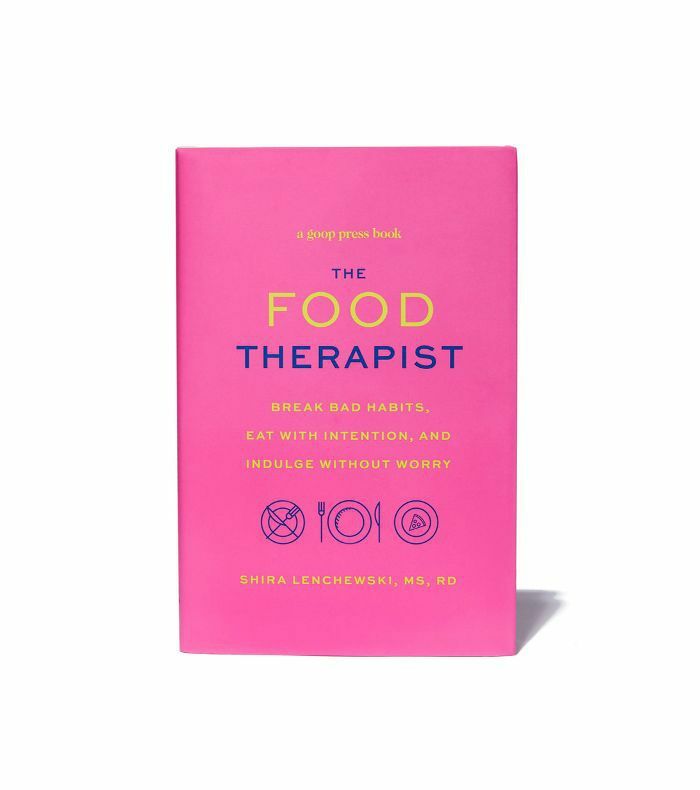 Los Angeles–based registered dietitian Shira Lenchewski, MS, RD, believes kick-starting a healthy lifestyle starts with examining our relationship with food, a topic at the core of her debut book, The Food Therapist. "What I've found working with clients is that accepting our food-related fumbles without the typical shame spiral allows us to identify and really get to work on overcoming the obstacles holding us back from making solid food choices day in and day out," she explains in the book. So what do "solid food choices" actually look like? 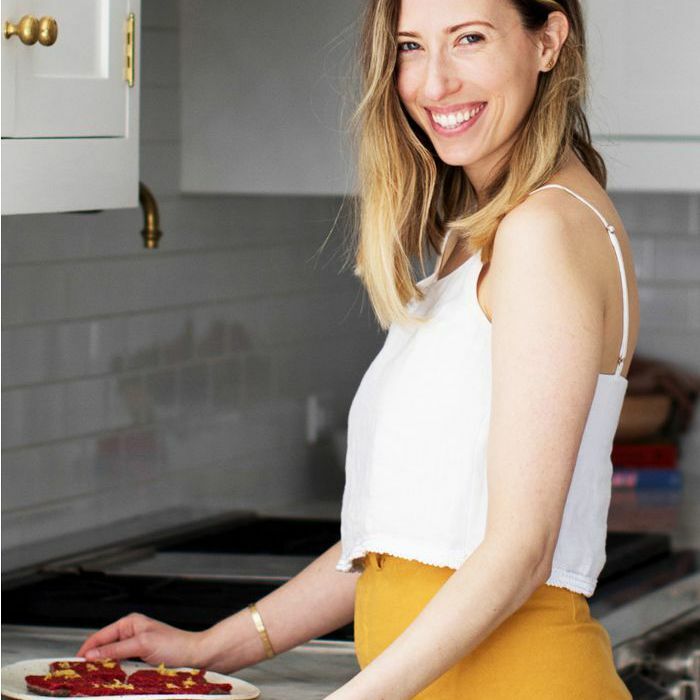 Ahead, we asked Lenchewski to pen her 24-hour food-and-exercise diary to offer insight into realistic, healthy habits—the ones she's actually able to keep on a daily basis. "Striving for perfection isn't the goal here," she points out, but here's what a dietitian considers "a pretty solid weekday." Set your alarms. Lenchewski sets her alarm for 7 a.m. and gives herself "10 to 15 minutes to wake up for real." On an ideal day, her morning routine would be tech-free, but she admits that's not always possible and doesn't beat herself up about it. "I just launched my first book, so social feels like an important component to stay on top of [first thing]. It's definitely not something I'm recommending for health purposes, but rather for transparency!" Breakfast is a protein-rich recipe of "two eggs scrambled with ghee and a slice or two of gluten-free sourdough with ghee and sea salt," she says. "I was primarily Paleo and grain-free prior to pregnancy, but I've been eating brown rice, corn, and beans since being pregnant." Plenty of water is a must—a habit she tries to be consistent about throughout the day. With a busy workday ahead, Lenchewski prioritizes exercise in the morning to ensure it doesn't fall to the end of her to-do list. "I haven't been too keen on cardio since getting pregnant, but I love doing muscular work," she says. "It's been keeping me feeling really strong throughout." Working out in the morning also boosts her mood and gives her the energy and enthusiasm to tackle work. "Endorphins are real!" she says. Sweet cravings usually hit before lunchtime, and rather than deny herself, she's prepared with a healthy, filling snack. 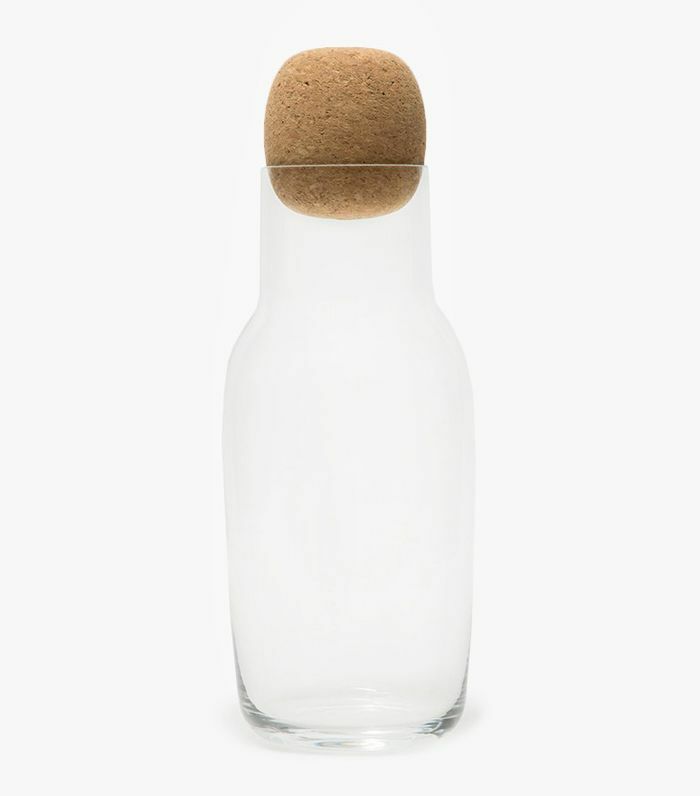 "I have a sliced sour Fuji apple with unsweetened nut butter and iced tea," she says, noting that she always checks the sugar content of store-bought drinks. "Drinking sugar is never worth it to me unless it's something like a delicious hot cocoa, so I always go unsweetened. Two store-bought brands I love with zero added sweetener are Sound tea (unsweetened sparkling tea) and Runa unsweetened with a little bit of stevia." Now that she's fueled her body with protein and a sweet treat, Lenchewski gets to work. Research suggests late morning is the best time for our natural peak productivity, making it ideal for tackling the most challenging tasks of the day. Our body temperature rises just before we wake up and continues to climb through noon, which means that "our working memory, alertness, and concentration also gradually improve, peaking at about mid-morning," Medical Daily explains. Her go-to lunch is simple but strategic. "I have a big green salad with chicken or salmon, loads of fresh veggies, a zingy no-sugar-added vinaigrette, and a roasted sweet potato loaded with ghee and garlic," she explains. "I love this lunch because it has everything I need to keep me going: greens, protein, healthy fat, and complex carbs from the sweet potato." Lenchewski also points out that our lunch ritual is just as important as the food on our plate. "Even though I work from home most days, I try and make a point of sitting down with an actual plate versus eating hurriedly over the sink," she says. 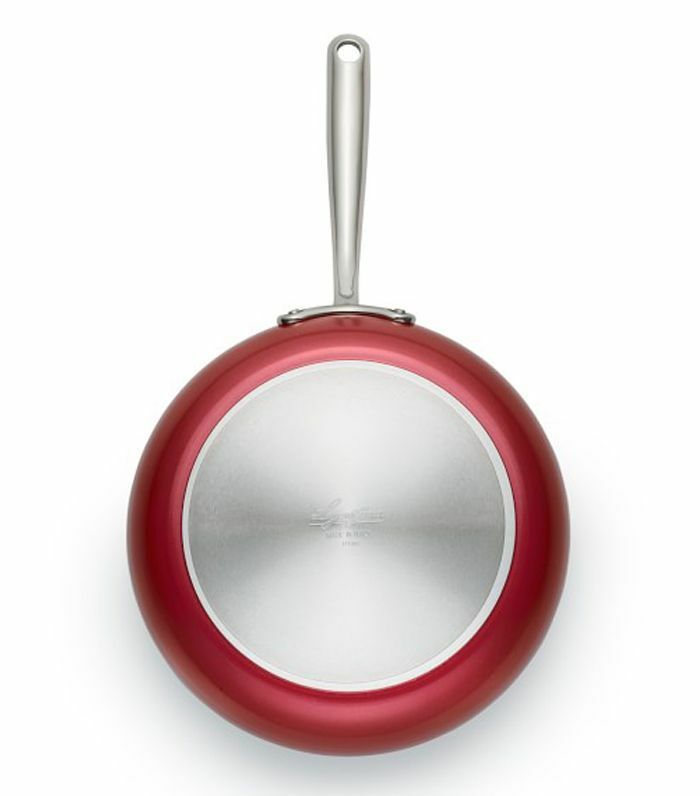 "I recently discovered Crow Canyon, and I'm obsessed with their funky enamel plates." Throughout the day, you can also refuel with easy-to-microwave Healthy Choice Power Bowls. 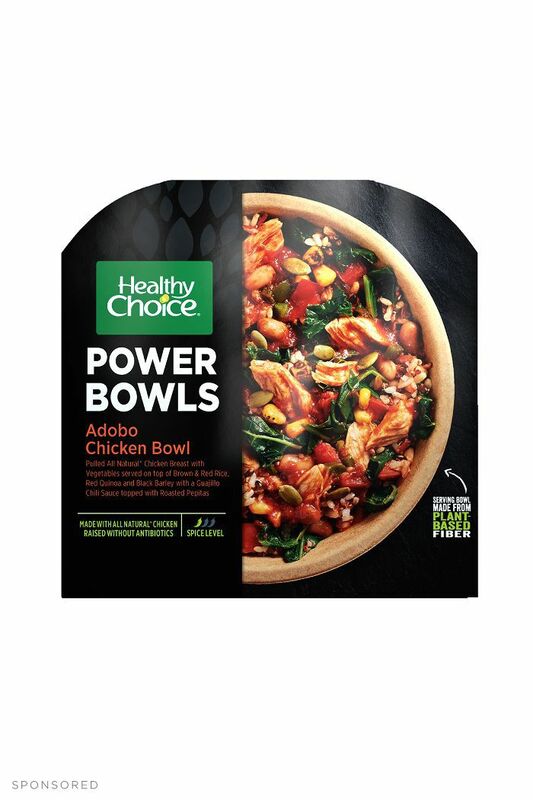 With whole grains, leafy greens, and lean proteins, Healthy Choice Power Bowls are a perfect post-workout meal. After breaking for lunch, she returns to her home office to continue work. It's worth noting that our productivity dips mid-afternoon—2:55 p.m., to be exact. Remember to stand up, stretch, and take screen breaks to regain concentration. For dinner, she whips up another protein-rich dish, this time with cauliflower rice, which is rich in nutrients like fiber; vitamins C, K, and B6; and potassium. "I love making braised chicken with cauliflower rice with onion, garlic, coconut aminos, and sesame seeds," she says, washed down with plenty of water to stay hydrated. When sweet cravings hit at night, she reaches for "five squares of Hu Kitchen cashew butter vanilla paleo chocolate—actual heaven on earth—with warm unsweetened nut milk and cinnamon." "Working out hard is a big stress reliever for me, so I'm a huge fan of foam-rolling before bed to help keep my muscles from reaching Tin Man status," she explains. It's also a great way to mentally wind down at night. "It's funny, I've never quite gotten into a traditional meditation routine, but a couple of months ago I realized that when I'm foam-rolling before bed, I end up zoning out and fully relaxing for about 20 minutes, so it's a bit like my version of a meditation."